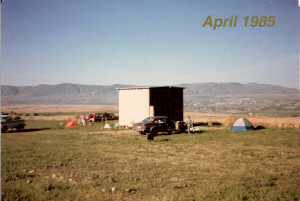 Larry camped on this spot his first night and then purchased the land that was to become Tapteil Vineyard the next morning. 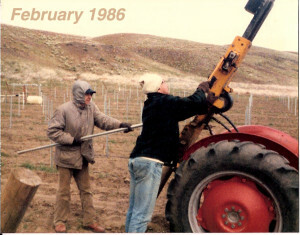 First purchased in 1984, Tapteil Vineyard began planting in April 1985. Friends and family were recruited to help and much of the work was done by hand. 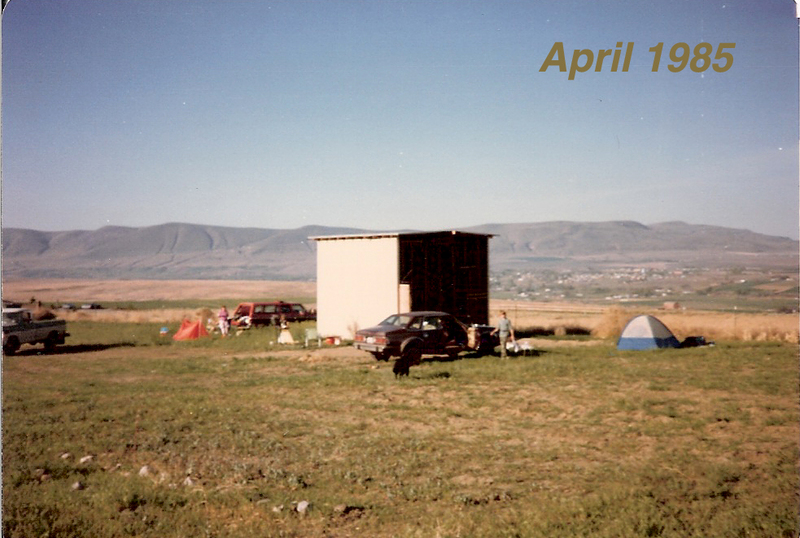 The only building on the site was the tall pump house, the ever important water source. 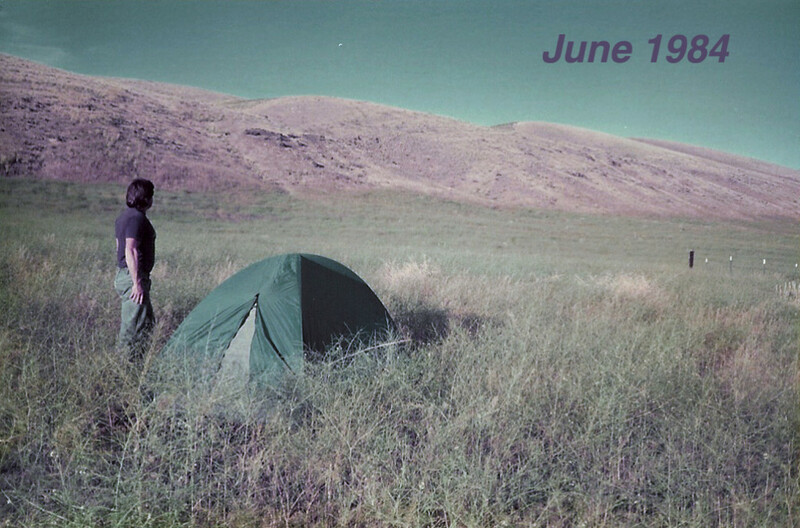 The adventure of creating something new, the romance of a vineyard being born made everyone overlook the fact that there was no bathroom, tent camping and no shade. Expansion continued on the vineyard over the years on vacations and family work parties, as Larry continued to work full time as an engineer. 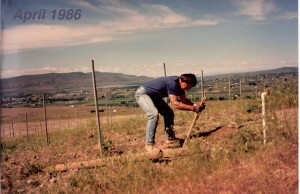 His “day job” took him all over the world including Africa, Australia, the Philippines and Bosnia, while the vineyard flourished under the care of a vineyard manager. 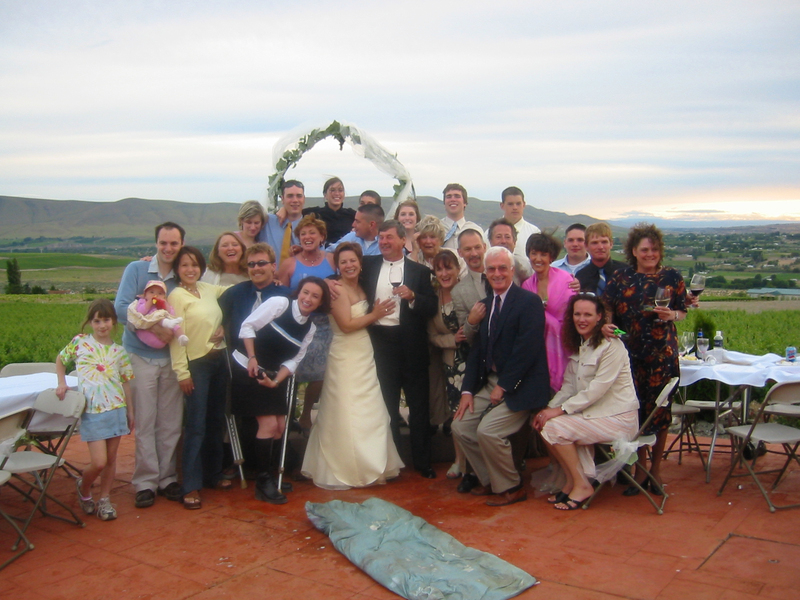 The vineyard became and continues to be a family touchstone and gathering place. 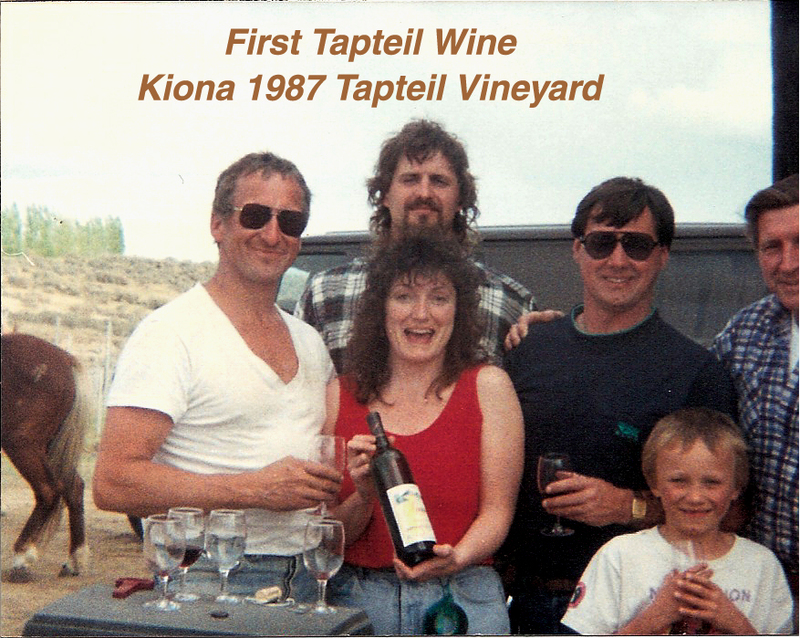 The first wine made from Tapteil grapes was by Kiona Vineyard and Winery in 1987. 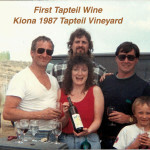 In 1999, Larry moved to the vineyard on a permanent basis, still expanding, he built and bonded Tapteil Vineyard Winery in 1999. 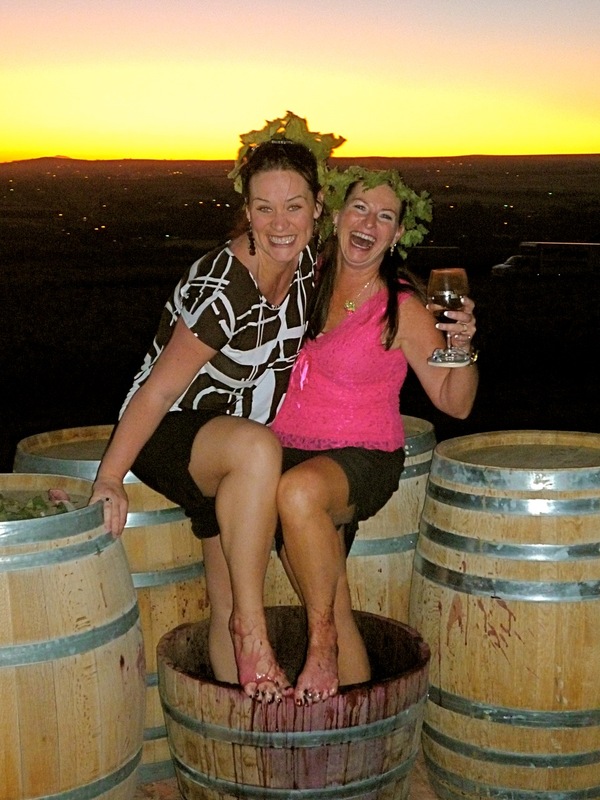 Our first commercial release was a 1998 Merlot and the winery opened on a limited basis for event weekends in 2000. In 2001, Jane and Larry met and were married in 2004. Jane became the director of sales and marketing drawing on her years of work experience in the same field. 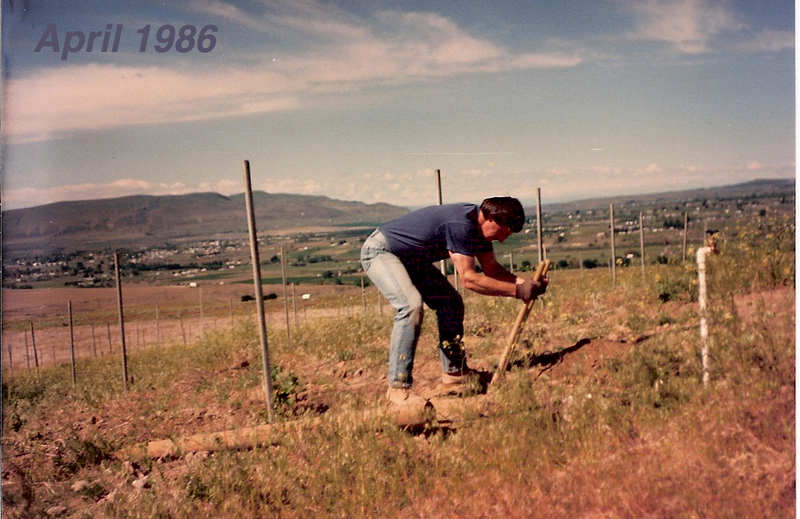 Larry retired from the day job in 2012 to devote all his attention to the vineyard and winery.